Tokyo's main stock market index closed at its highest level in more than two decades on Wednesday as optimism spread across global markets. 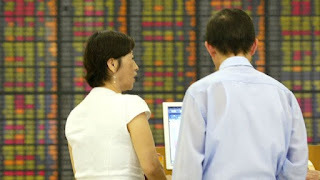 The Nikkei 225 added 0.3%, or 57.7 points, to end at 20,881.2. It was the best finish for the index since 1996 and follows fresh record highs on Wall Street overnight. A strengthening Japanese economy, solid corporate results and upbeat mood on US markets have helped spur gains. The Nikkei has rebounded from below the 15,000 level hit in June last year after the Brexit vote shook confidence on global markets. Investors have ploughed back into shares following the election of US President Donald Trump, and his big spending plans and the promise of tax cuts. The three major US indicies - the Dow, Nasdaq and S&P 500 - reached fresh highs on Tuesday.